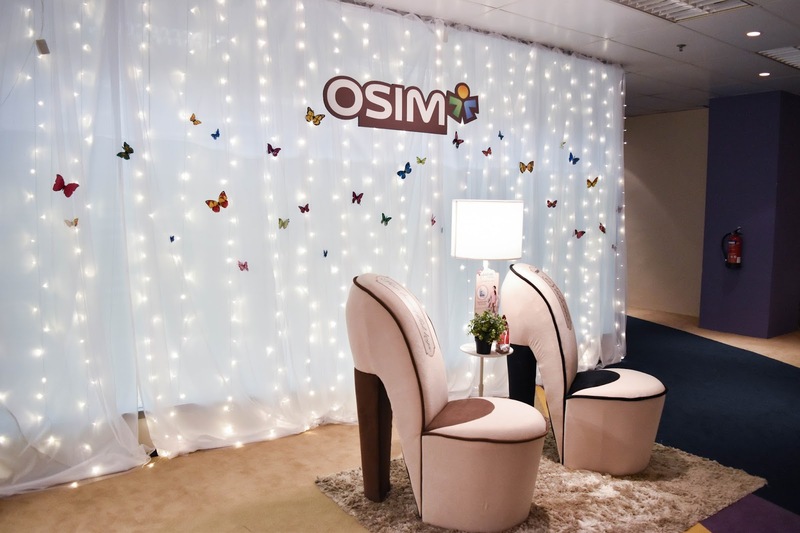 OSIM uStiletto - Pampering Your Feet With A Leg Massager Designed For Ladies Who Love Wearing Heels! As we grow older, we tend to have a need to wear high heels more often because of work, events to attend or even for social gatherings. And well, I'm not complaining because heels tend to elongate our legs and make us look more elegant as a whole. If you ever feel like you're not dressed for an event, just throw on a pair of killer heels, and you're good to go. However, one thing I detest about wearing high heels is how much they make my feet hurt after a day, and so I try to avoid wearing them as much as possible. I really do admire ladies that can endure wearing them for the entire day - especially those who wear stilettos! 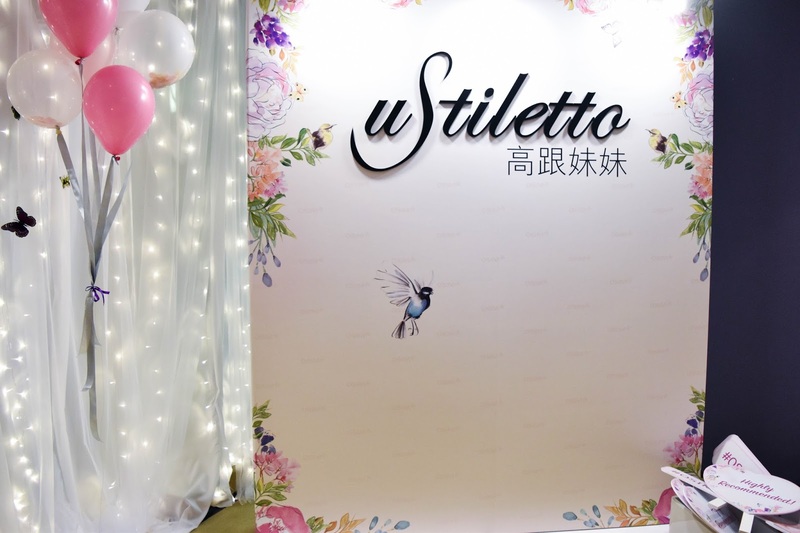 Thankfully, with the latest uStiletto from OSIM, I can now wear my heels, and still ensure that my feet are well-protected at the end of the day! 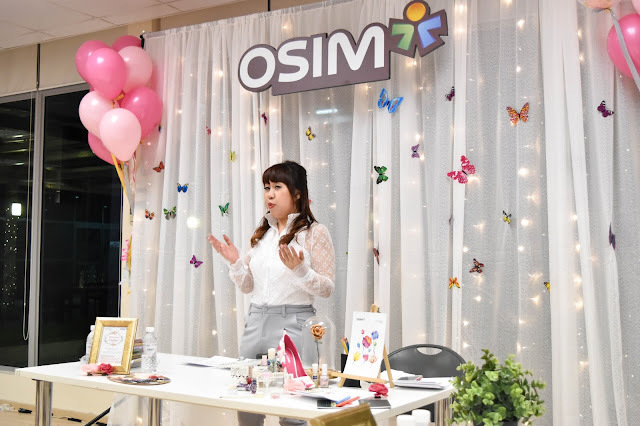 These OSIM uStiletto leg massagers are designed for ladies who have to wear heels the entire day - with special massage programs that knead and roll the specific areas of your feet and calves! During the OSIM uStiletto event, a group of ladies and I were treated to a sneak peek of their latest uStiletto leg massagers. 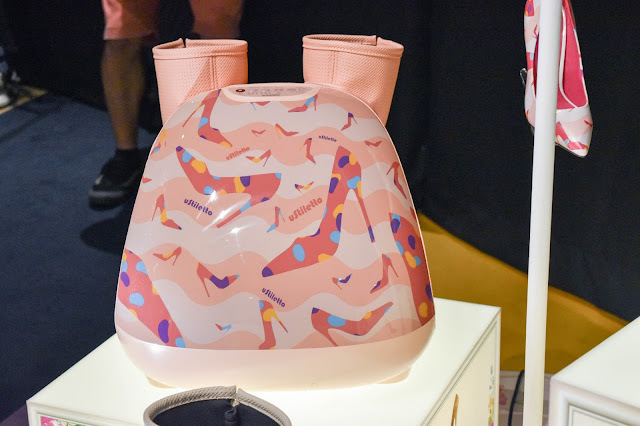 We were also advised to wear high heels to the event so that we would be able to witness the power of the leg massagers to their full potential! 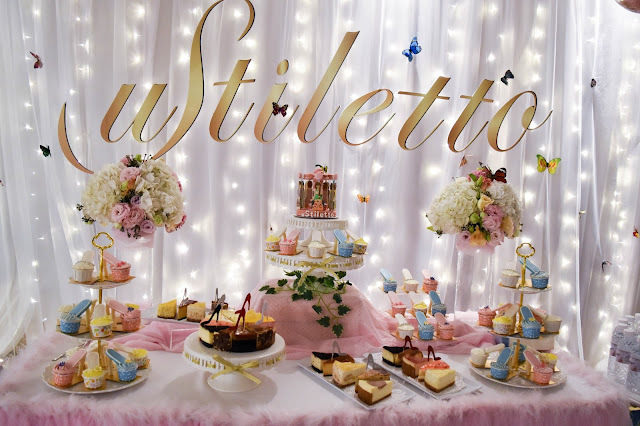 During the OSIM uStiletto event, we were treated to an array of sweet and savoury snacks. 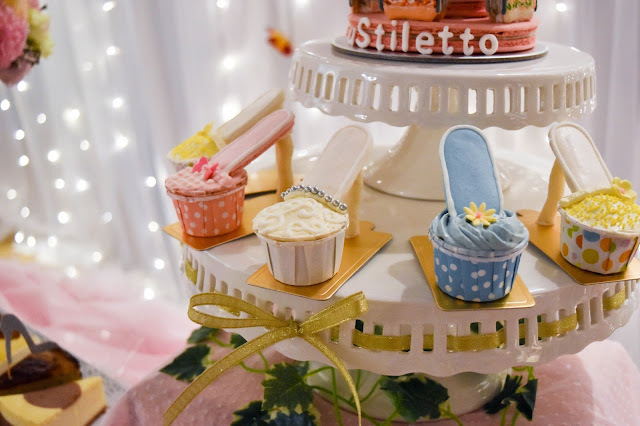 Check out the cupcakes in the shape of the stiletto! 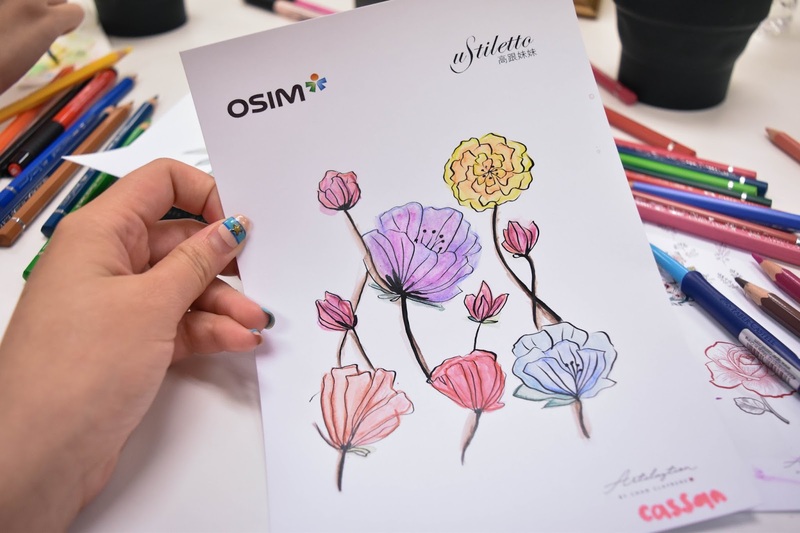 The OSIM uStiletto comes in 3 different designs - Elegant, Homemaker and the Kawaii - so that there's one for everyone! You can also choose the design that fits best with your room decor. And if you were wondering, these massagers are extremely light-weight and portable! 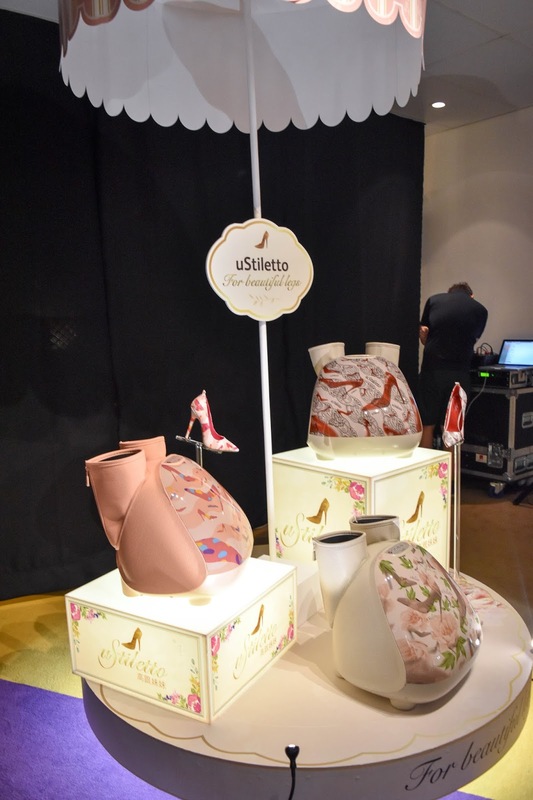 As mentioned above, these uStiletto massagers are designed for females, so they also took the weight and aesthetics into consideration! The people at OSIM kindly dolled up the entire area for each of us to enjoy the uStiletto experience! The area was dressed up just like a manicure & pedicure parlour, and there were even nail polish colours for us to choose from! 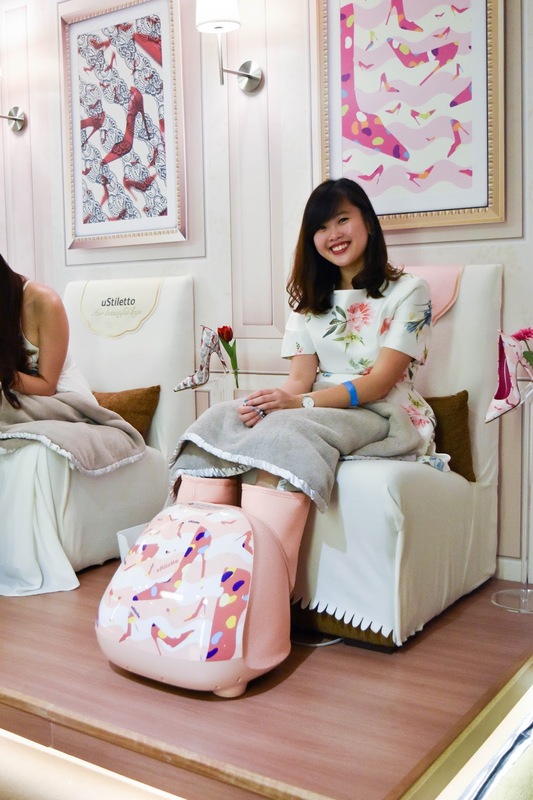 During the massage experience, we were given a chance to try out 3 types of massage functions on the OSIM uStiletto - Pamper, Reflexology and and Beauty - each also for different occasions when your feet requires a massage! 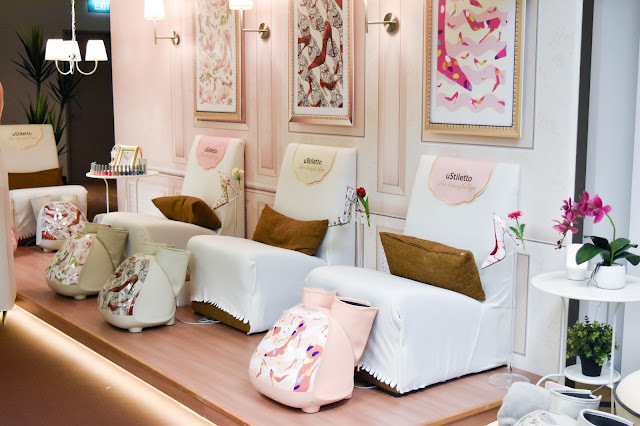 My favourite was the Pamper massage program which also featured S Tone Airbags and the S Care Rollers that helped massage my feet after a long day in heels. Honestly, sitting in that comfortable chair and enjoying the soothing massage was all I need after a long day at work. Also, the S Tone Airbags and S Care Rollers come with adjustable intensity and customizable rollers speed, so you can manually adjust them if you feel that they're too painful for you! And if you feel that you can endure a little more pain, you can also turn them up! 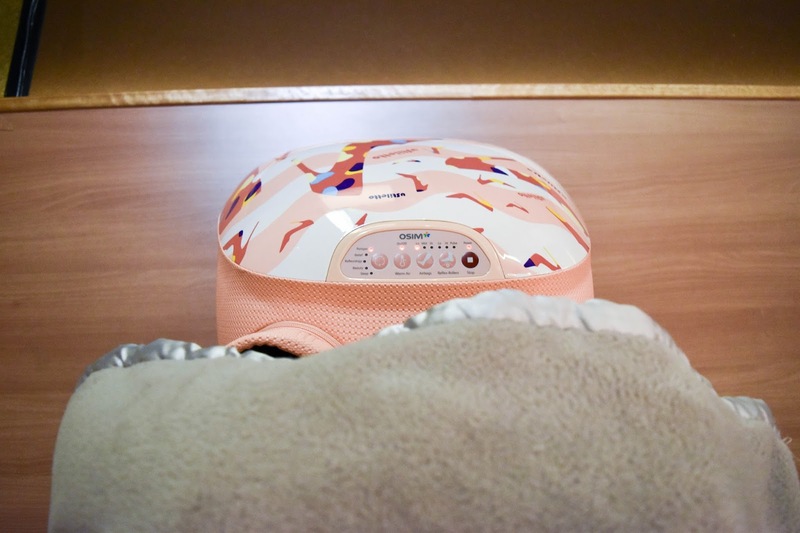 Psssst: they also have a Sleep massage program for you to use on a daily basis! In fact, it can also help you tone up your legs! Honestly, the leg massage was not at all painful or itchy. I'm not a fan of leg massagers because I can never deal with the itch whenever the reflexologist tries to massage my feet or relieve the pain in my heels. But I felt that the massager was just right for me and the fact that I could even customise my massage added a lot of plus points! Oh, and they even served us tea from TWG after the massage session. 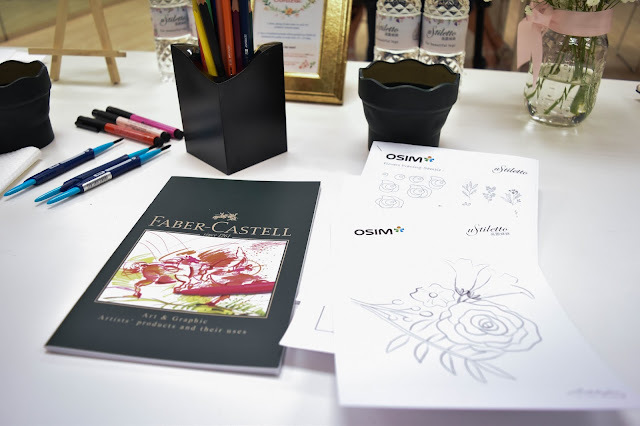 The folks at OSIM really know how to pamper us well! The pampering session ended with a watercoloring session with Clayrene, the lady behind @artclaytion. 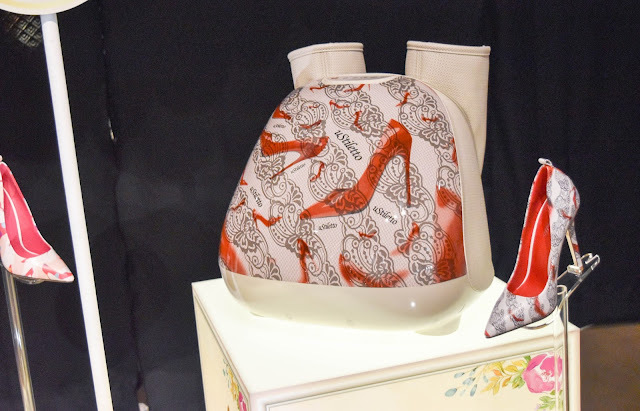 Clayrene is a fashion artist which do fashion illustrations using watercolor and NAIL POLISH! You can also check her out on IG @artclaytion. 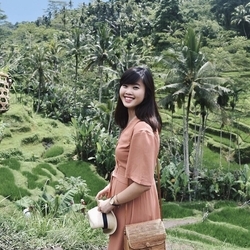 I've been stalking her account ever since I followed her after the event because her works are just so gorgeous! 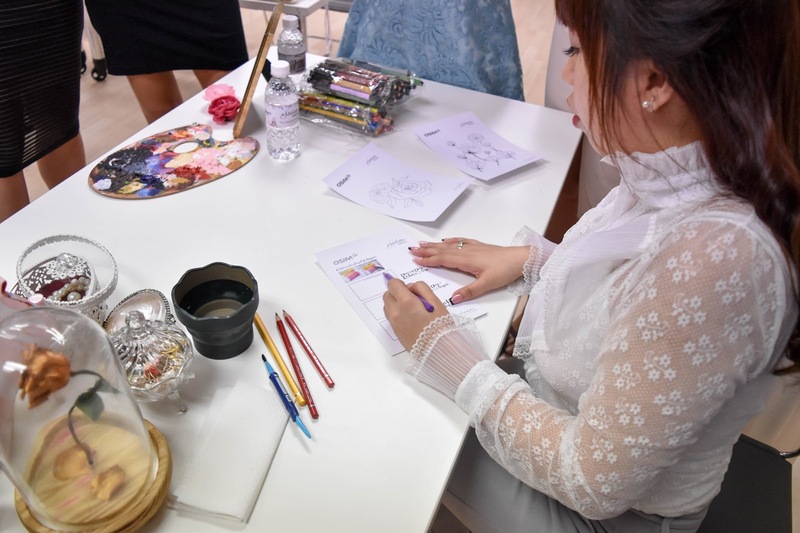 During the event, we were able to try out different watercoloring techniques and also 'create' our own masterpieces in the process. 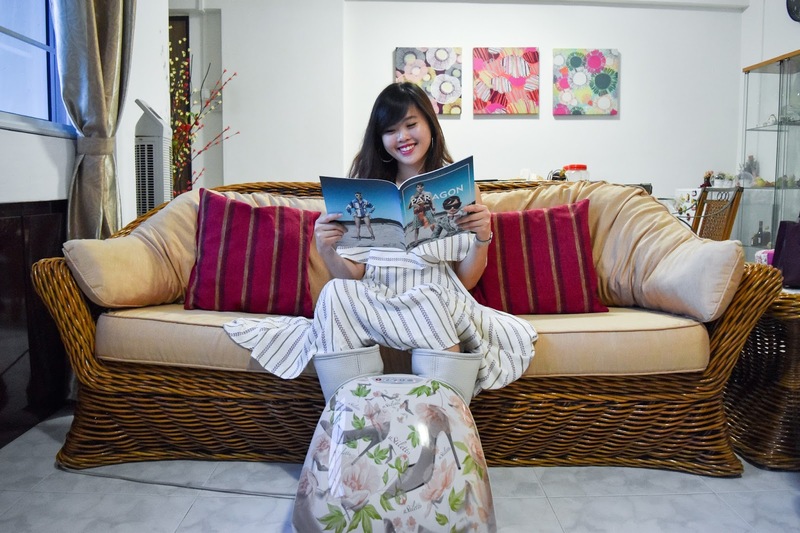 What I really love most about the OSIM uStiletto is how I'm able to have my own pampering experience at home, rather than having to pay a hefty sum to enjoy a foot massage outside. 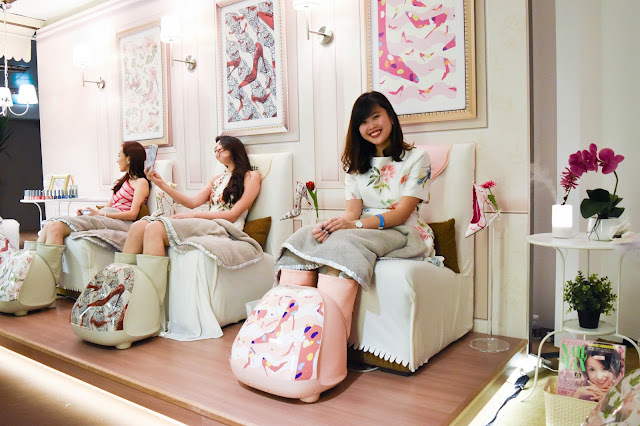 Plus, you're also able to do it at your own time and you can also enjoy the massage while you're watching TV or using your laptop! 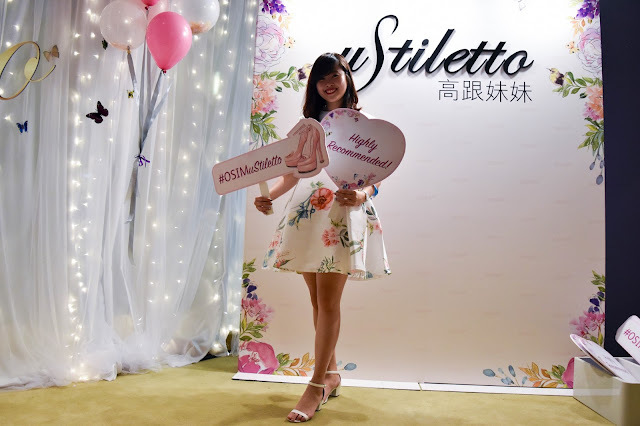 Just like how I'm blogging and using OSIM uStiletto now - heh, I kid you not! I've been using this almost every day when I come home from work and I love how it pampers my feet. Heck, even my boyfriend uses it when he comes to my place and he can't bear to get out of it. If you are also interested in getting one of these OSIM uStiletto massagers for yourself or for someone you care about, you can purchase it from this link here. This post is written in collaboration with OSIM Singapore.